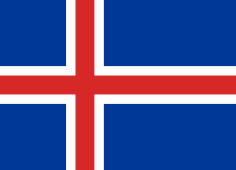 FRISK Software International was an Icelandic software company that developed F-Prot antivirus and F-Prot AVES antivirus and anti-spam service. Its name is derived from the initial letters of the personal name and patronymic of Friðrik Skúlason, its founder. The company was founded in 1993. It was acquired by Commtouch (now known as Cyren) in 2012. Frisk Software competes in the antivirus industry against Avira, ESET, F-Secure, Kaspersky, McAfee, Panda Security, Sophos and Symantec among others. F-Prot Antivirus is one of the oldest antivirus products since its creation in 1989. It was the world's first with a heuristic engine. It is sold in both home and corporate packages, of which there are editions for Windows, Linux, and BSD. There are corporate versions for Microsoft Exchange, Solaris, and certain IBM eServers. The Linux and BSD versions are available to home users free of charge, with virus definition updates. Free 30-day trial versions for other platforms can be downloaded. F-Prot AVES is specifically targeted towards corporate users. The company has also produced a genealogy program called Espólín and Púki, a spellchecker with additional features. In Summer of 2012, FRISK was acquired by Cyren, an Israeli-American provider of security products. Friðrik Skúlason, joined Cyren as the vice-president of Antivirus technologies. F-Prot Antivirus is an antivirus product developed by FRISK Software International. It is available in related versions for several platforms. It is available for Microsoft Windows, Microsoft Exchange Server, Linux, BSD, Solaris, AIX, IBM eServers and *nix. The scanning engine used by F-prot provides signature based detection capability, heuristics, and low use of the computer's resources. In 1991, F-PROT Antivirus (for DOS) became the world's first heuristic behavior scanner. F-PROT for DOS has since been discontinued. FRISK Software International allows to develop applications based on their scanning engine, through the use of a SDK specifically released. Many software vendors use the F-Prot Antivirus engine, including SUSE. Their SDK is known today as the Commtouch Antivirus SDK. Friðrik Skúlason, also sometimes known as "Frisk", is the founder of FRISK Software International and one of the founding members of CARO (Computer Antivirus Research Organization). He originally developed F-Prot Antivirus while doing computer support work and, subsequently, started the company. He was, for many years, the technical editor of the Virus Bulletin. 1 2 "F-Prot Antivirus - FRISK Software - Information and..." (.htm). FRISK. Retrieved March 14, 2006. ↑ "Friðrik Skúlason ehf." (.htm). FRISK. Retrieved March 14, 2006. ↑ "F-Prot Antivirus Products - Detailed product information on F-Prot Antvirus for Windows, Linux, BSD..." (.htm). FRISK. Retrieved March 14, 2006. ↑ "F-Prot Antivirus Products - Detailed product information on F-Prot Antivirus for Windows, Linux, BSD..." (.htm). FRISK. Retrieved March 14, 2006. ↑ named after Jón Espólín, an 18th-century magistrate of Snæfellsnes. ↑ "Púki 2007." (.htm). FRISK. Retrieved April 25, 2008. ↑ "The Register, Commtouch gulps down Icelandic anti-virus pioneer FRISK". ↑ "Current versions of F-PROT Antivirus". Retrieved 2016-10-06. ↑ "Interview with Fridrik Skulason" (.htm). netlux.org. ↑ "A Public letter to the University of Calgary" (.htm). FRISK.